Your JAXP provider [org.apache.xerces.jaxp.DocumentBuilderFactoryImpl@8034b6] does not support XML Schema. Are you running on Java 1.4 with Apache Crimson? 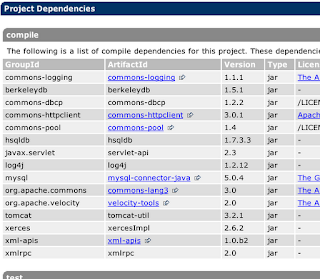 Upgrade to Apache Xerces (or Java 1.5) for full XSD support. Tests run: 5, Failures: 0, Errors: 4, Skipped: 1, Time elapsed: 0.303 sec <<< FAILURE! testSendFileStringOutputStream(com.configureconnect.cplayer.ImageGeneratorServiceTest)  Time elapsed: 0.105 sec  <<< ERROR! Caused by: org.springframework.beans.factory.BeanDefinitionStoreException: Parser configuration exception parsing XML from class path resource [test-beans.xml]; nested exception is javax.xml.parsers.ParserConfigurationException: Unable to validate using XSD: Your JAXP provider [org.apache.xerces.jaxp.DocumentBuilderFactoryImpl@8034b6] does not support XML Schema. Are you running on Java 1.4 with Apache Crimson? Upgrade to Apache Xerces (or Java 1.5) for full XSD support. Caused by: javax.xml.parsers.ParserConfigurationException: Unable to validate using XSD: Your JAXP provider [org.apache.xerces.jaxp.DocumentBuilderFactoryImpl@8034b6] does not support XML Schema. Are you running on Java 1.4 with Apache Crimson? Upgrade to Apache Xerces (or Java 1.5) for full XSD support. 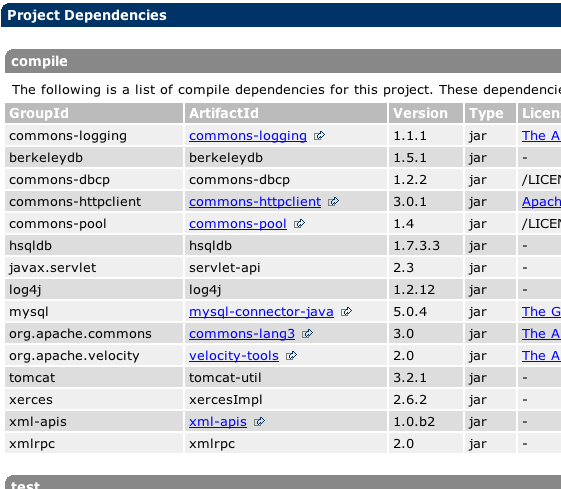 From the stack trace, I believe that it was JCS’s dependency on xerces and other XML APIs that have caused the problem. The classes from these libraries have been added to the Java SE SDK and improved upon, whilst xerces has also continued to grow, change and diverge. Hence, when compiling with Java 5 and greater, the xerces classes conflict with Java SE SDK creating the exception demonstrated above. Don’t use JCS: this works!